Legendary co-creators Justin Jordan and Tradd Moore will release the final Luther Strode chapter in trade paperback this July. This will collect THE LEGACY OF LUTHER STRODE issues #1-6. 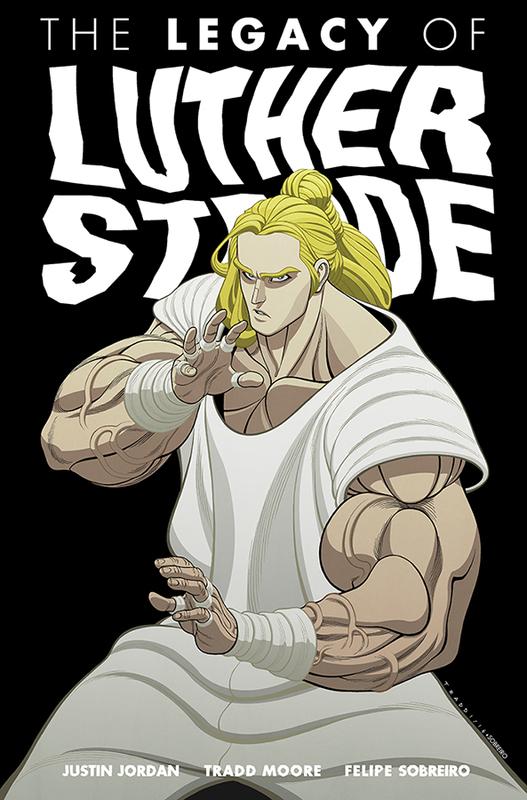 The LUTHER STRODE Saga ends here. Luther and Petra are on the road that will lead them to the final confrontation with Cain, the first murderer and architect of Luther’s pain. THE LEGACY OF LUTHER STRODE TP (ISBN 9781632157256) hits comic book stores Wednesday, July 6, 2016 and bookstores Tuesday, July 12, 2016, and will be available for $17.99. It can be ordered by retailers through Diamond Book Distributors with the Diamond code APR160834. It can be preordered now through Amazon, Barnes & Noble, Indiebound, and Indigo.